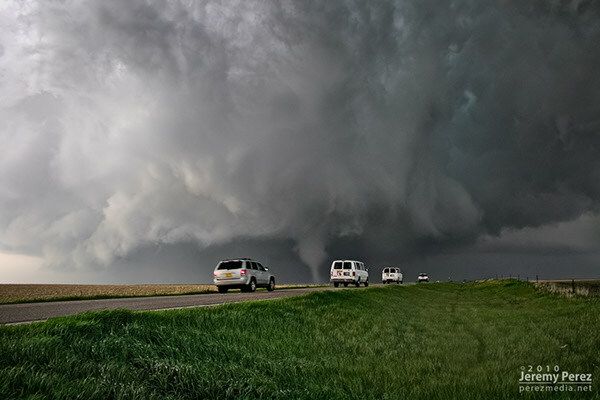 A powerful supercell plants its first tornado southwest of Bowdle, South Dakota. Storm chasers advance on the rapidly rotating wall cloud and tornado while we watch from a field access road. Rear flank downdraft hews a misty gap in the storm's base, allowing a tornado to briefly spin up near Willow, Oklahoma. 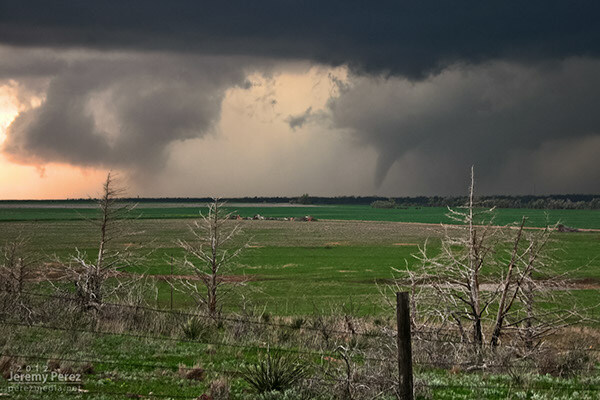 A long-lived tornado churns away beneath a very transparent RFD slot, southwest of Rozel, Kansas. 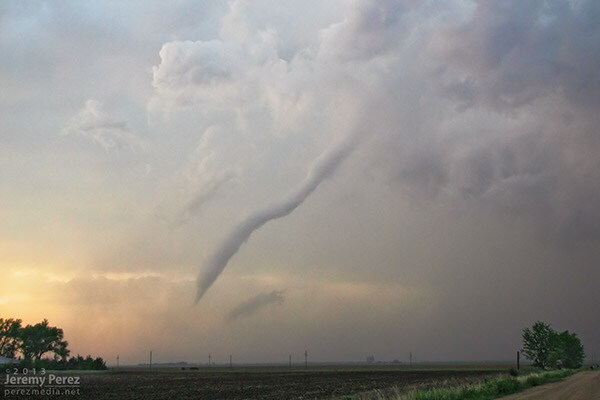 The Rozel tornado ropes out about 20 minutes after first touching down. 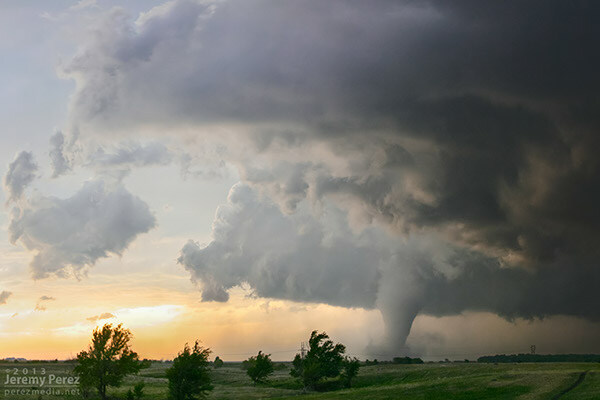 Shortly after the ropeout of a long-lived tornado near Rozel, Kansas, a new storm and tornado form a few miles to the east near the town of Sanford. 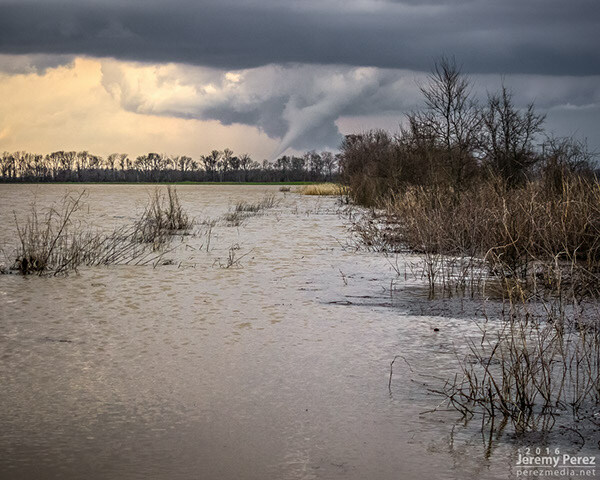 A tornado lurks behind flooded fields in eastern Arkansas near the town of Grady. 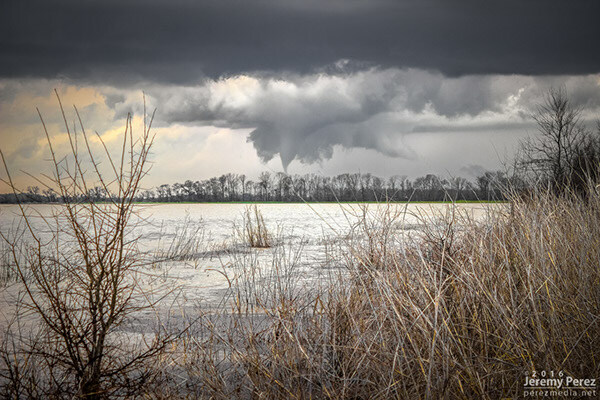 The Grady, Arkansas tornado begins to rope out after a few minutes on the ground. 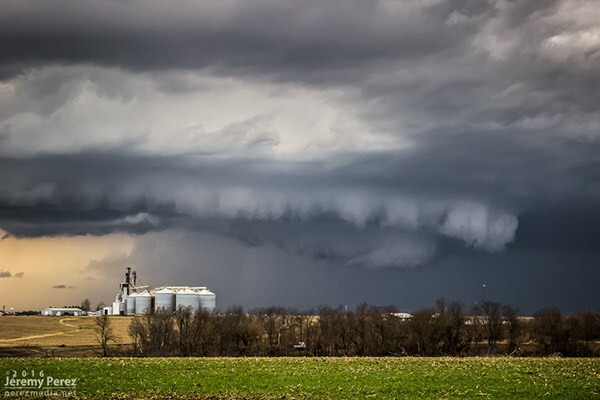 A tornadic supercell churns near the Good Hope, Illinois. The spinning wall cloud in this image is tornadic and pulling up debris on the ground—only barely visible against the dark precipitation in the bcakground. 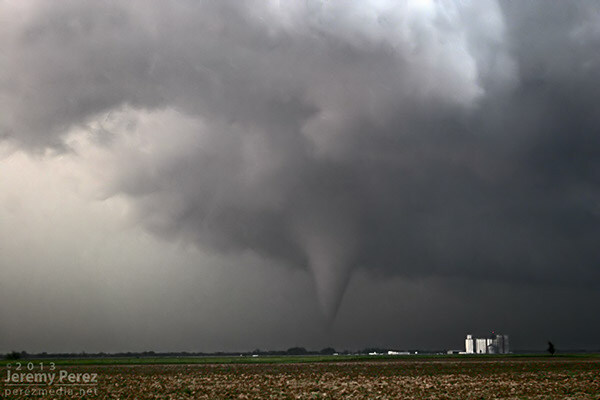 Some of the tornadoes I've witnessed while storm chasing.